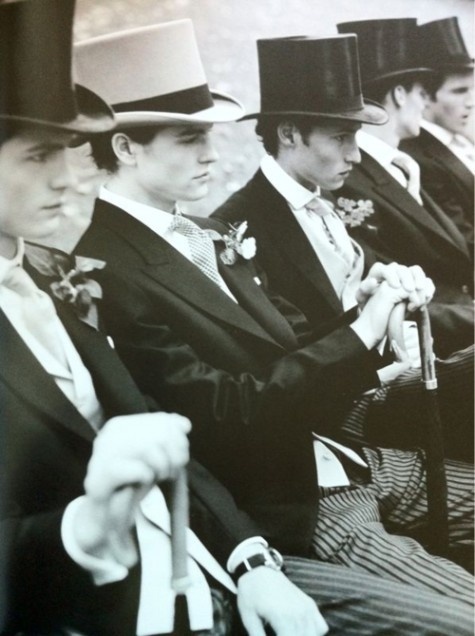 In the 18e century, the young elegant class in England became what was known as Dandies. Many regard Charles II as the trendsetter and the first Dandy. The Grand Tour of Europe also took the English Dandy to Italy and France. In London, these travelled young men formed the 'Macaroni Club', bringing some southern elegance to their grey and overcast country. From 1770-1790, the Dandies of the Macaroni Club wore white neck-ties knotted into a bow. At the start of the 19th century, George Bryan Brummel was the uncrowned king of the Dandies. Brummels disassociated himself from extreme fashion trends and announced the rule of thumb that still applies to this day: 'the sign of a good dresser is someone who does not attract attention'. Brummel advised King George IV: 'Tying a white neck-tie in a bow will have to be the highlight of everyday life'. It was against this backdrop that the Silk Top Hat came into being in 1797 and made its way to the Netherlands from England via France. Although people already wore top hats in the 16th century, these were only covered in silk plush in 1797. The use of the top hat in today's world is very limited and is largely seen at very formal occasions such as weddings and certain race meets. 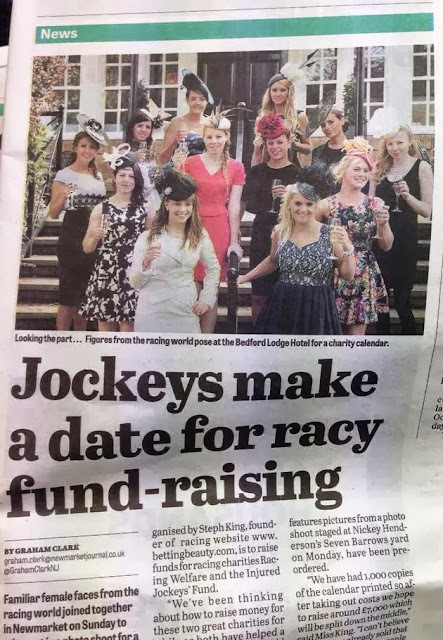 For the purpose of this article I will be concentrating on the use of the top hat at the racecourse. The two race meets in England where a top hat is worn are the Epsom Derby and Royal Ascot. It is not compulsory in all areas of either track but is in certain areas such as the Queens stand at Epsom and the Royal Enclosure at Ascot. You can of course wear one if you are not in either of these prestigious areas and I feel it adds to the whole occasion to see men wearing something out of the ordinary. The traditional silk or beaver fur top hats are no longer produced and as such are increasingly rare especially in the larger sizes as peoples heads were generally smaller back when they were being produced. This means a large silk or fur top hat can fetch up to £20,000! Lets hope you have a small head. There are top hats being produced today but they are made with different shapes and in a felt material. These are perfectly acceptable to wear at Epsom or Ascot but the simple fact is that they just do not look the part. You can see a true vintage silk topper a mile off and they simply look more elegant than the modern felt ones. They are also much lighter and cooler, which is important when the suns out in mid june at Ascot. 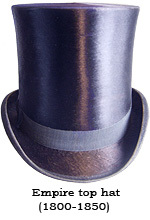 Another variation of the top hat that is often seen on the racecourse is that made of grey felt. 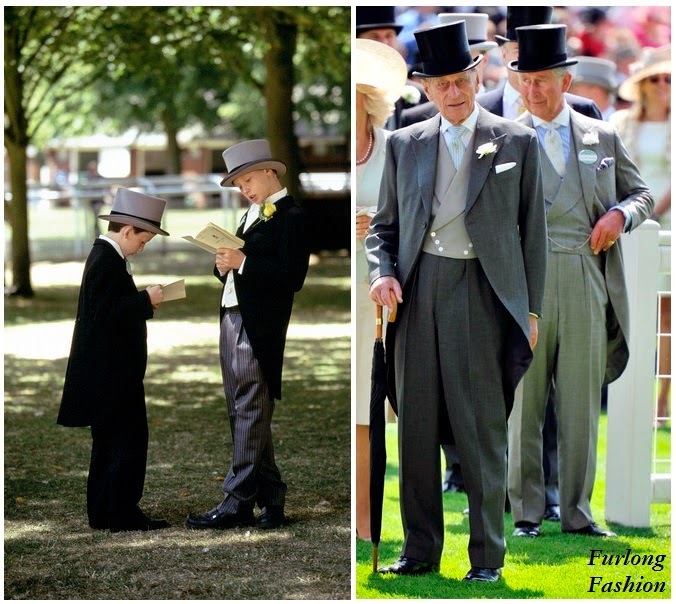 The grey top hat has seen an increase in popularity over the last few decades. Some consider the grey version to be slightly less formal which is why a black one would be more suitable at a wedding. The shape of your top hat really comes down to your personal style, taste and budget. 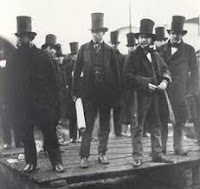 The shape can depend on the era in which your top hat was produced.For instance during the Empire period (1800-1850), the hats were much taller and basically straight sided were called 'stovepipe hats'. My personal preference is for a tall top hat which is fluted getting wider towards the top with a narrow arched base. Purchasing a Top Hat can be daunting and there are undoubtedly some people out there ready to rip you off. Before buying one I suggest doing your homework on-line to get an idea of price. The price as I said earlier is mainly affected by size, age , condition and shape. If you know the size you need then eBay / Antique Auctions can be a source of complete bargains. However they are the obvious risks associated with this and if you can afford to splash a little extra then a reputable dealer would be the best choice. The vintage top hat can be a very expensive item but you really can consider it an investment piece of clothing due to its rare nature. If you look after your topper then it can always be sold on when you feel you no longer need it. There are various guides on-line that can advise you on the proper care of a silk top hat. I would advise that if you need the top hat cleaning then get a professional to 'polish' it. 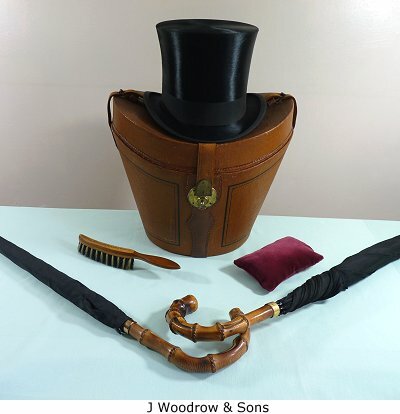 I would also suggest that you buy a leather top hat box if your budget permits or just a hard and cushioned box to protect your hat whilst travelling to your hotel/home whilst at the races. As some Top Hats have considerable value they can unfortunately be the target of thieves even at such prestigious events. I myself have been in the company of someone who had theirs stolen. 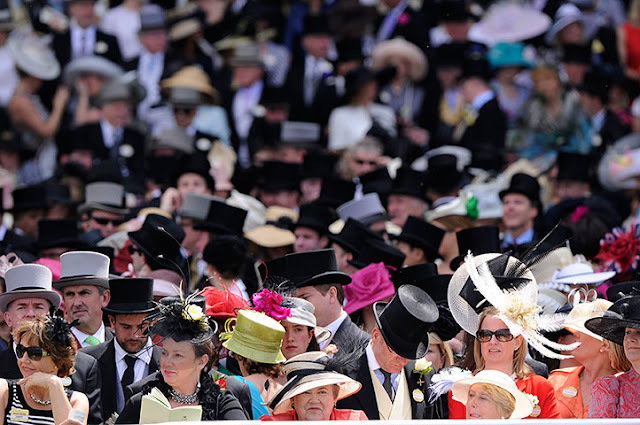 Just try and be careful and if you do feel the need to take your top hat off whilst outside (you shouldn't unless the queen is entering the course) then try not to to place it on a table. Even more dangerous is placing it on a chair where the obvious happens and someone sits down, I have seen this on more then one occasion.